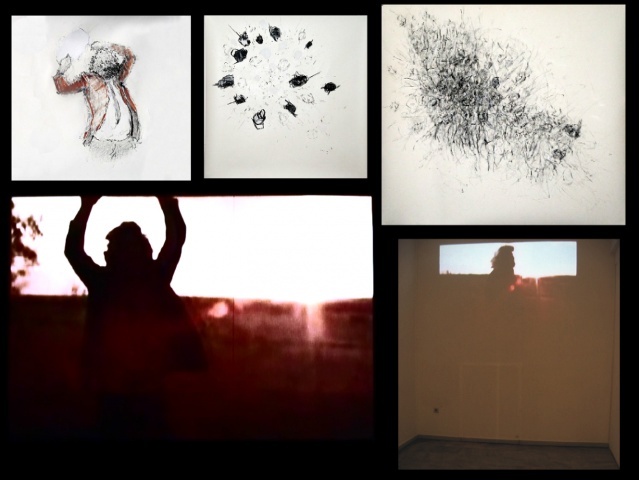 Juan William Chávez presents drawings and a single-channel video that explores a dark aspect of cultural commodity, specifically random violence, as prevalent in the horror film genre. His action-oriented re-contextualization of the classic 1974 cult film The Texas Chainsaw Massacre is rendered as phenomena and as spectacle. The artist created this series while actually watching the film. Chávez refers to this method of working as "live-drawing" wherein the drawings are created "while the moment is originating, existing, and/or occurring as opposed to being produced after the moment. . . . The adrenalin of "live-drawing" helps me connect and participate with the subject's social experience. . . This hyper-alive environment exposes new insight." Appropriating footage and sound from the original film, Chávez hones in on the final segments where the last surviving victim narrowly escapes the chainsaw-wielding, serial killer Leatherface, leaving him alone on a dusty rural Texas road. As the sun starts to set, details of the panicked figure are obscured creating an apocalyptic atmosphere for the psychotic dance that ensues. The artist has slowed down film and the muddled sound serves as a melancholic backdrop quelling the fury. In both the drawings and the video, Chávez chronicles the uneasy movements and isolated gestures of Leatherface's spiraling out of control to identify the protagonist in a desperate dance of resignation. He formulates a transitory exercise to capture the essence and/or residue of a fleeting and emotional filmic moment. 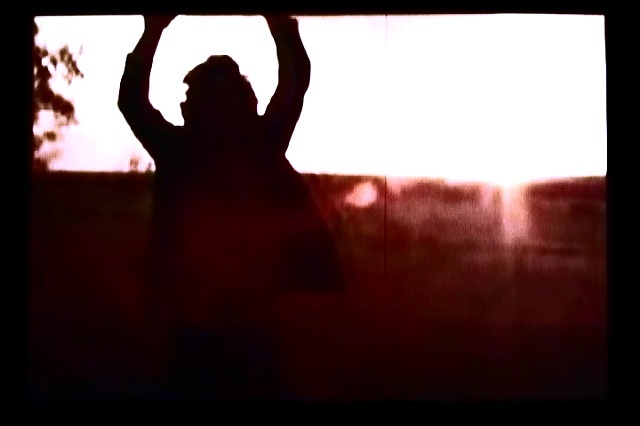 Chávez expresses the urgency of the manic dance as accelerated in the drawings and deliberately unhurried in the video. In the drawings, graphic, obsessive mark making reflects a secondary choreography that obfuscates the original horror. These strategies abstract the familiar narrative to dismantle the character (a now cultural icon of brutality) and transpose the chaos of violence. Despite the haunting aspect of the work, Chávez' 70s era redux presents a near sympathetic persona. The killer is transformed into a lamenting figure for elegiac consideration; an unexpected conceptual demarcation line between the frightening and the beautiful occurs simultaneously.